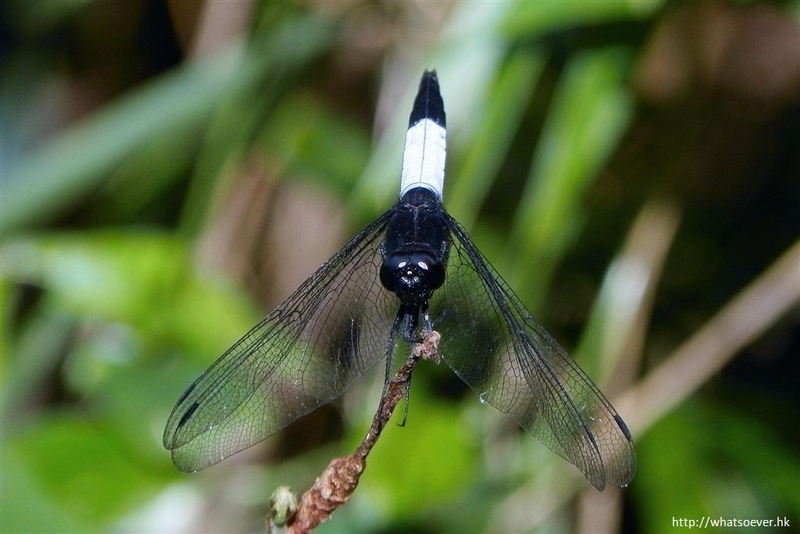 Pied Skimmer (Pseudothemis zonata) is a black medium-sized dragonfly. Part of its abdomen is white in males but yellowish white in females. Their abdomens seem to be taped with white or creamy white ribbons.